We are simply enamored of this new Caladium variety! 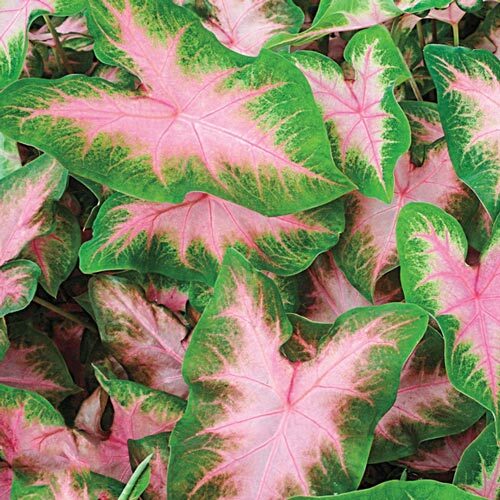 Kathleen is a stylish choice with salmon-pink leaves highlighted with broad green borders. The combination of the soft pinkish hue with the vibrant green is pleasing to the eye and creates an outstanding, brightly hued display in shady spaces. Darkened corners of the landscape come alive with the addition of this beautiful newcomer. Plant in container gardens, shadowed borders or as a striking ground cover for maximum impact. 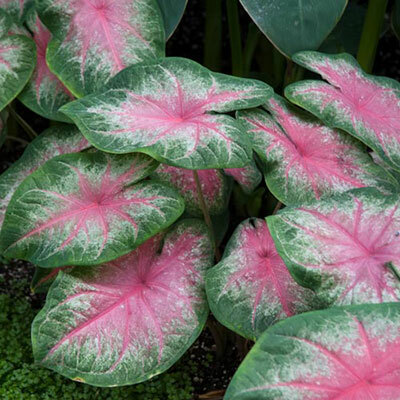 Caladium is quick and easy to grow, and deer resistant. It perennializes well and returns yearly if the tubers are lifted in fall.